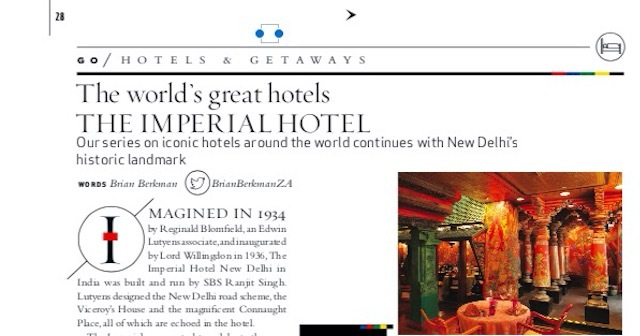 In the April 2019 issue of Sawubona Magazine, I write about The Imperial Hotel, New Delhi, India. This feature forms part of a series of iconic hotels around the world that I am writing. Enjoy it on board your South African Airways Flight in April or on-line at www.SAASawubona.com . 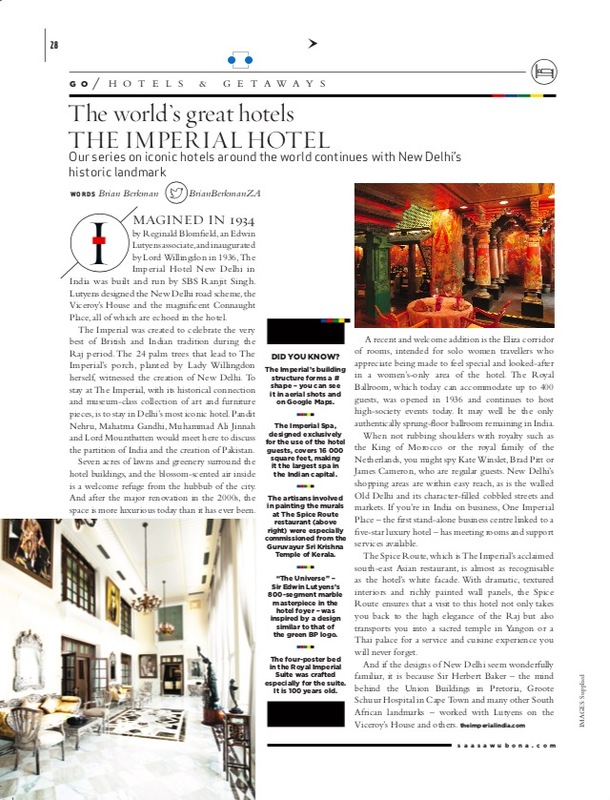 The iconic Imperial Hotel, New Delhi, India.